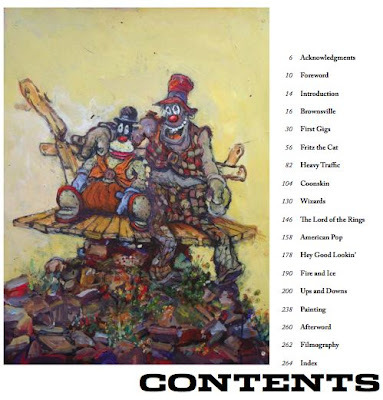 The Complete Ralph Bakshi I think this might be my favorite animation book yet. 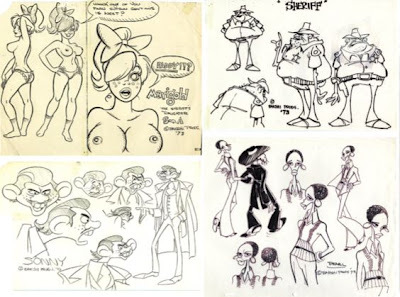 It's absolutely filled to the borders with great cartoon art from Ralph Bakshi's career. Ralph has to have the most eclectic and varied cartoon taste of any cartoon producer I have ever known. He is Mr. Anti-formula. There are a ton of great cartoon styles and experiments all through his movies and even more in the developmental stages of his films. Ralph, although a great artist himself, surrounded himself with formidable talent. 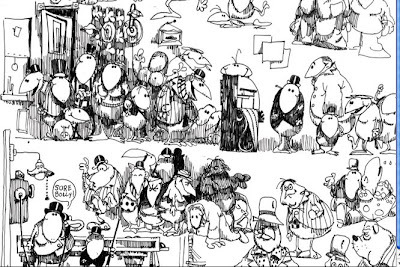 Probably more than any other producer, Ralph really admired other cartoonists. A fan as well as an artist. 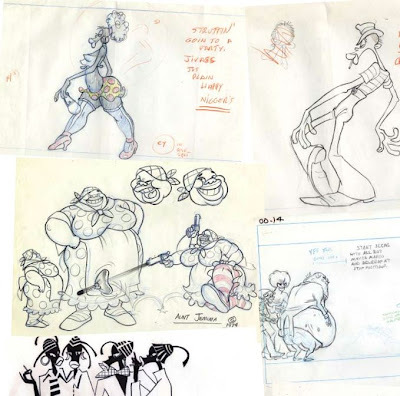 He discovered and encouraged many unknowns, brought already famous cartoonists from other fields into animation and just did things that he wanted to do, according to his own whims and tastes - with the rest of the industry against him! 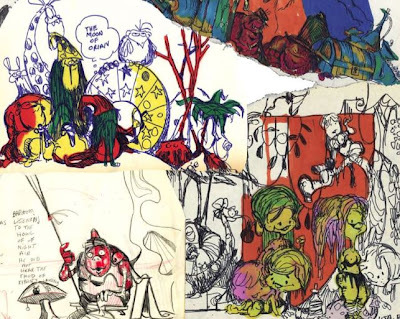 There is just enough written history in the book to give you all the interesting things about the Bakshi story, and with some rare fun photos too. Can you figure out which one is Ralph in this Terrytoons crew pic above? 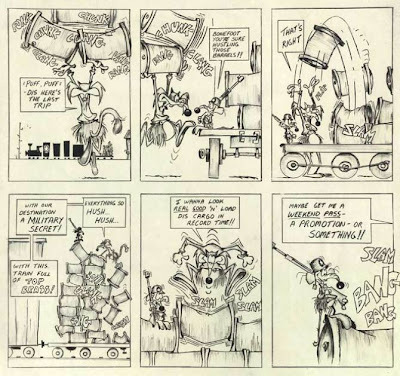 There are lots of early Ralph cartoons and comics too. 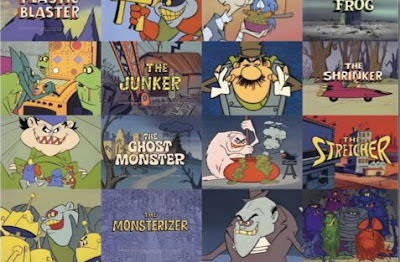 Did you know Ralph created some of the very first Saturday Morning cartoons? There is a hilarious story of how that came to be in the book. Damn. Ralph's own art is so unique and brilliant. 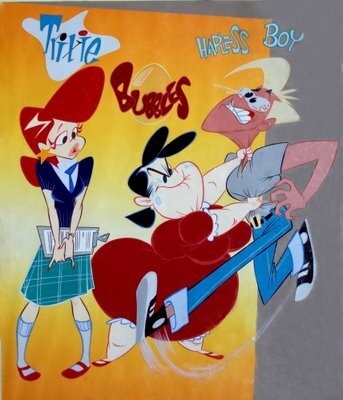 I remember always asking him why he didn't use his own designs intact in his cartoons. He seemed humble about his own work and always thought other artists were slicker, but I think we sometimes lost a lot of the intense feeling and knack for varied shapes and composition in Ralph's own art. Luckily there are a ton of his inspirational sketches in the book. Thanks to Chris McDonnell for getting Ralph to share it with us. I don't know who did these below. They sort of look like Ralph's characters slightly Disneyfied...really great. 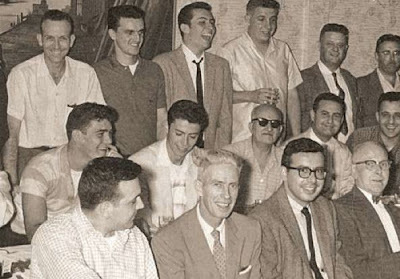 I'll do more posts about the book and tell you some stories from my own experiences with Ralph. I'm just one of many lucky artists that Ralph gave a big break to. Let me tell you, every single day with Ralph was an adventure. There is a force field around Ralph and if you are ever lucky enough to get inside it, you will witness a world that has its own laws of physics that don't work anywhere else. The guy is a force of nature, an American original, a pioneer and a true legend. One of the most imaginative and feisty animators ever. And he can kill you.